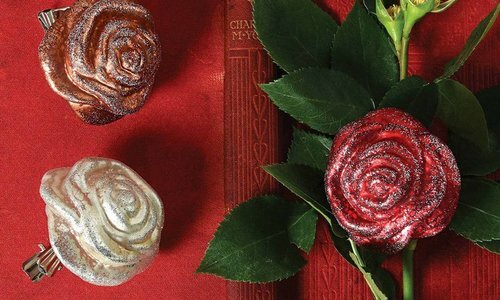 Complimentary $5 Glass Rose Ornament with $30 Purchase! 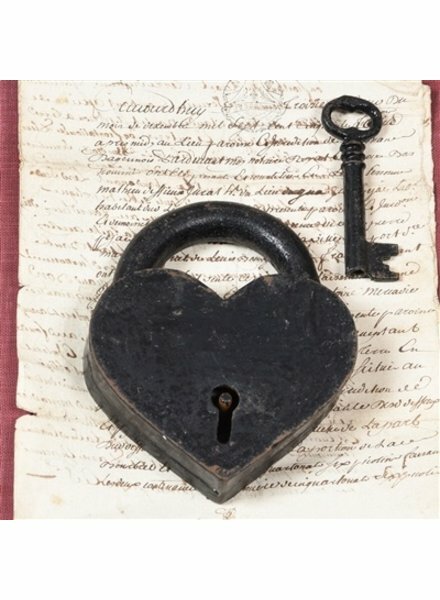 The traditional appeal of natural black cast iron meets the intimacy of romantic form in the Heart Lock and Key. The old-world hasp padlock and a sturdy skeleton key give a sense of grandeur and secrecy to your decor. 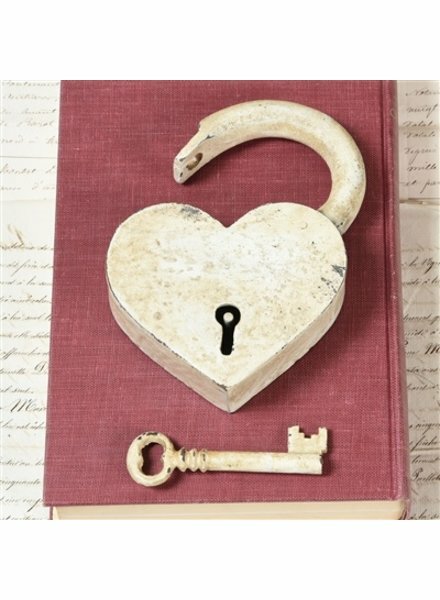 A vintage white version of our traditional natural black cast iron Heart Lock and Key. The old-world hasp padlock and a sturdy skeleton key give a sense of grandeur and secrecy to your decor.